2 Hour Denture Relining Service Option! Relining is required when tissue changes occur due to resorption or soft tissue shrinkage. 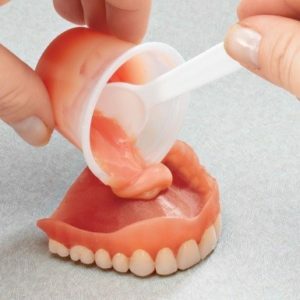 Reline, consists of adding new base material inside your denture to the tissue side of it for proper fit. It affects only the fit of your denture and will not change the appearance.